Ready to Build. Lot has been cleared and leveled. Electric service onsite. 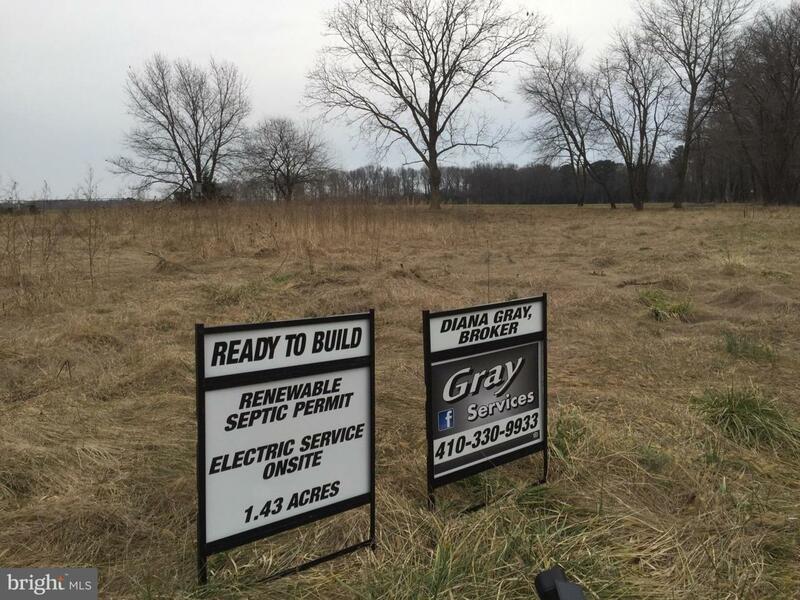 Renewable septic permit on file at Dorchester County Health Dept. Convenient central location to Cambridge and Salisbury. Listing courtesy of Gray Services.